NORMAN, Okla. (AP) – Oklahoma’s porous defense nearly torpedoed one of the best offenses in college football history. 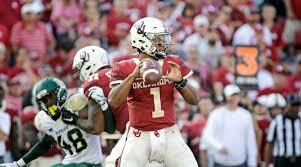 Heisman Trophy hopeful Kyler Murray has done it all at quarterback for Oklahoma. But the Sooners have allowed 449 yards per game this season – on pace for a school record – and they rank dead last in Big 12 Conference play in scoring defense and total defense. The unit likely will have to improve in order for the fifth-ranked Sooners to beat No. 9 Texas in the Big 12 championship on Saturday.